I knew him only through our dealings on eBay and could spot a gentleman and a class act from down here in Florida. Ave atque vale. I am so sorry to hear about Al's passing. He was a great friend to me in some very difficult times in my life. I will always remember him as the person who taught me to appreciate jazz. Please accept my condolences. Loved this man with all my heart.. Al you brought so much joy and laughter to so many. Heaven received a huge bonus when you arrived. Offering our prayers of sympathy may God always keep you in his memory. My deepest sincere condolences to the family. We shared a great hobby of collecting postcards. I will always remember him with his special stories of collecting ships and the great programs that he shared with our club, Western Reserve Post Card Society. Al was the minister at ALPC when my husband and I first joined. In those first couple of years I dealt with a number of traumas, including the loss of family, the knowledge my husband had an incurable illness and additional health issues within the family. So often when it seemed my prayers had gone without an answer, Al's sermons would somehow supply the lost link. From his sermons came the comfort and guidance I needed. I once told him I believed he was a messenger for the Lord. Al just smiled and said,"Thank you". May the God of peace give you comfort during your time of bereavement. I have good memories of growing up at Avon Lake Presbyterian Church while Al and the family were in ministry there. His sermons always had a bit of humor and a great message. Every year the Sunday after Easter I remember the Elders of Jazz playing in the service. Not only was Rev Al our pastor he was a great musician! I still think of this so many years later! My sincere condolences goes out to the family and friends of Alfred Hart. May God continue to comfort you each and every day in the time of your distress. Whenever Al would guest preach at JKPC, he would always inject humor into his sermons. The humor always made the sermon more interesting. You will be missed. What a fine, fine man! I will always remember his warm, loving heart and compassionate manner. He certainly left this world a better place for his having lived among us! May God rest his gentle soul! Jan and family, So very sorry for your tremendous loss of an absolutely wonderful man. 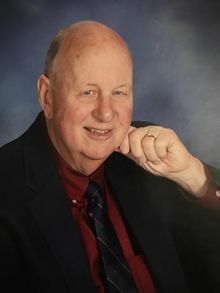 Al was known to the Great Lakes shipping community around the great lakes as a gentleman who enjoyed the big freighters like the rest of us. Mostly we will remember him as a gentleman, though. A man whose life on this earth was an example for us all. Rest in peace with God, Al.